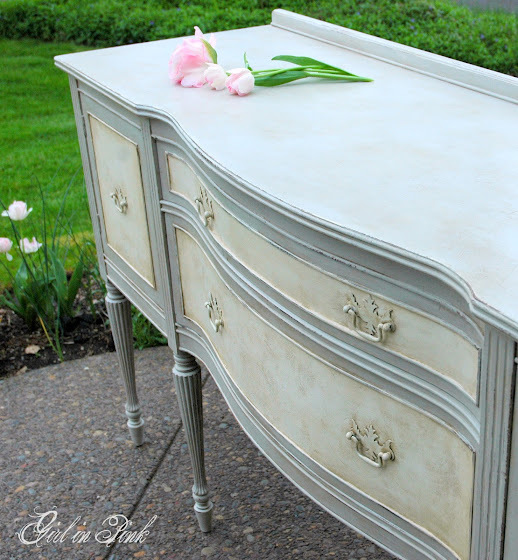 How Annie Sloan Chalk Paint Changed My Life! I have a confession to make. A year ago I had never refinished a piece of furniture. I mean never ever! It always seemed like a good idea in theory, but then I would think of all the dirty, exhausting, sanding, priming and painting and I would starting looking in the catalogs at new furniture. I always have good intentions with these lofty goals of the perfect furniture re-do, but then run out of enthusiasm when the going gets tough. The next day I tried to find my happy place, and forget about the effort and cost involved in finding the paint. I decided to try the paint out on a small accent table. It was one of those highly varnished wood tables they used to sell at the now defunct Bombay Company (remember that place???) I am convinced everyone in the late 90’s owns something from there! All I did to prepare the table was wipe it down with a cloth. No sanding, no priming. I painted inside my house and completed the table very quickly. After it dried, I used sand paper to distress it and applied a few coats of clear wax. I. was. in. love. In about 15 minutes I had totally transformed the look of the table. I have now painted many pieces with Annie Sloan Chalk Paint as well as other regular latex paints. I have painted mirrors, small accessories, large dressers, baskets, outdoor planters, and even placemats. I truly love this paint and will have a separate post about what I feel are the advantages and disadvantages of this special paint! I feel this paint helped me to turn a DIY corner (if there is such a thing) and venture into other DIY projects, and it gave me a ton of confidence with painting. 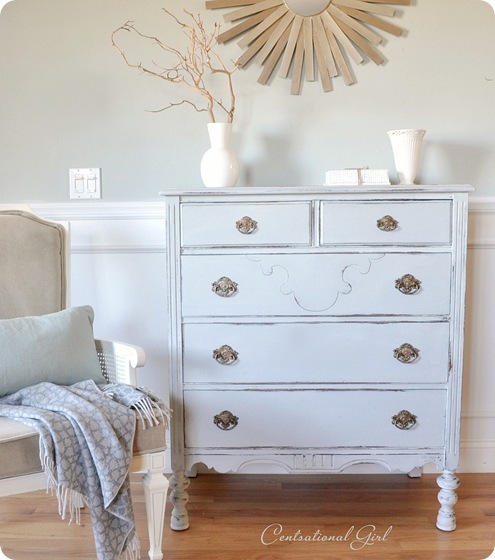 I know I am late to hop on this chalk paint DIY bandwagon!! What do you think- are you a smitten kitten like me? What projects have you tried? I love some of these transformations done by some very talented bloggers.